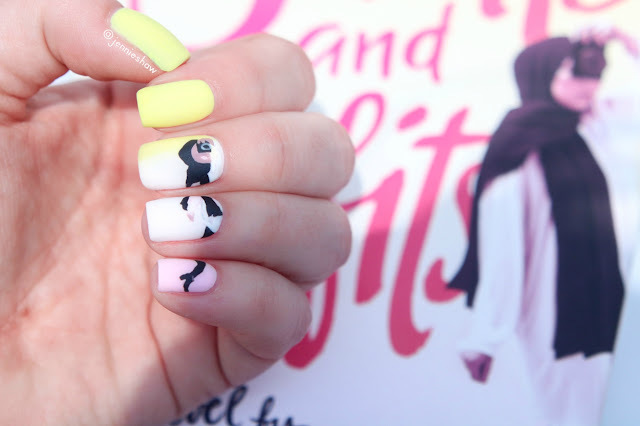 A couple of months ago, Simon & Schuster Canada hosted a preview event, where bloggers learned about upcoming YA and MG releases. That fateful Saturday afternoon, I heard S.K. 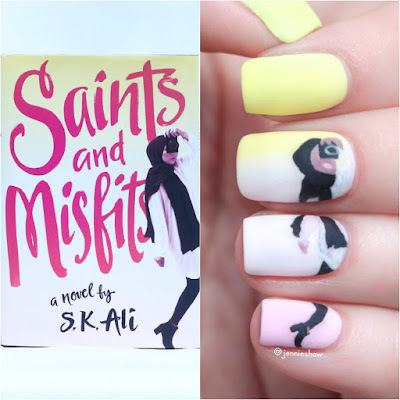 Ali speak about her debut novel, SAINTS AND MISFITS. Her eloquence and enthusiastic personality elevated the room's vibe immediately, and then she revealed her stunning cover, which morphed me into a heart-eyed emoji. 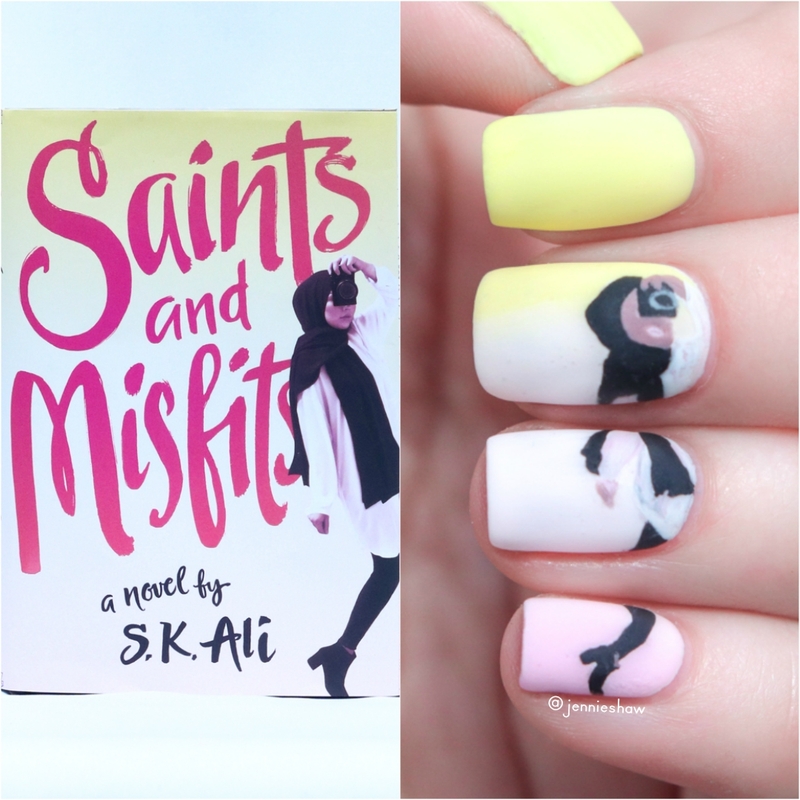 SAINTS AND MISFITS stole my heart. Or rather, Janna did. And what I liked most about her was that she acted like a typical teenager, with the added bonus of being Muslim and wearing a hijab. She's quick witted, kind, hard working, and loves halal gummy bears. Candy: the unifying snack. Haha! Her life mostly consisted of staying on top of her enriched math schoolwork and participating in mosque events, but Janna also navigated her awareness of how her physical appearance affected others--how she was judged. Holding her faith dear while grappling with self-consciousness was a complicated issue for Janna to reconcile, and it became more of a challenge as the novel progressed. Each chapter was titled either Saints, Misfits, or Monster, either singularly or in combinations, and it helped set the tone. The categorization method belonged to Janna and she easily identified who fell into which category, although they weren't necessarily cemented. Well, except the monster. That brings me to the core of SAINTS AND MISFITS. I've struggled on whether or not to share the monster storyline, because I really try to make sure I don't include spoilers. In fact, I've drafted this part of my review several times, changing my mind and then changing it again. Ultimately, I've decided to leave it a mystery, but I will say this: SAINTS AND MISFITS is important. Like, in the realm of THE HATE U GIVE important. Teenagers deal with a lot of crap; adult issues they should never have to face (nor should anyone, for that matter) and watching a character reclaim their power--stand up to those who want to crush them, even when they're scared--is a necessary and timely message. Janna's ability to persevere, be thoughtful and logical but also trust her gut, moved me. A transformation took place, one that didn't feel contrived or forced. Instead, her journey had highs and lows, just like life. And the most important part? Janna never surrendered. She processed her experiences in her own time, and sought out a resolution that worked for her, despite what others thought she should do. This is the sort of novel that needs to be in every high school library, and part of mandatory curriculum for English/literary classes. So...uh...make it happen, school boards. Make it happen now! So in sum, SAINTS AND MISFITS has a super cool protagonist who struggles with teenage drama (crushes! EEE CRUSHES! ), and also with something much more significant. Janna's a smart, grounded, endearing character who may not know who she is, but knows she's more than what others see. And the message woven into the entertaining writing is strong and fierce. 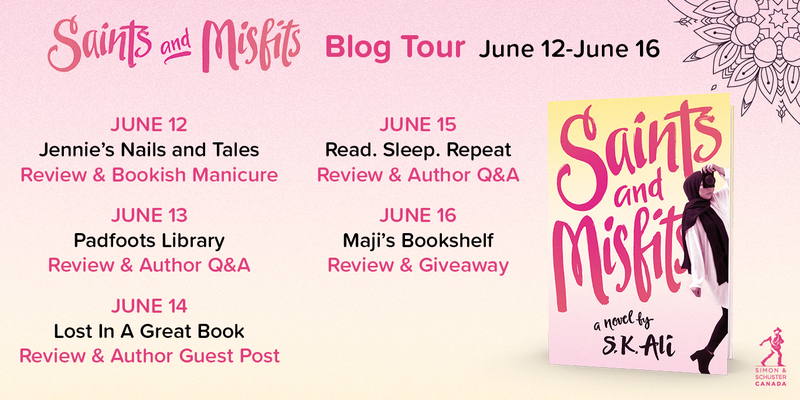 I'm honoured to kick off the SAINTS AND MISFITS blog tour because this is a novel that everybody has to read. Period. 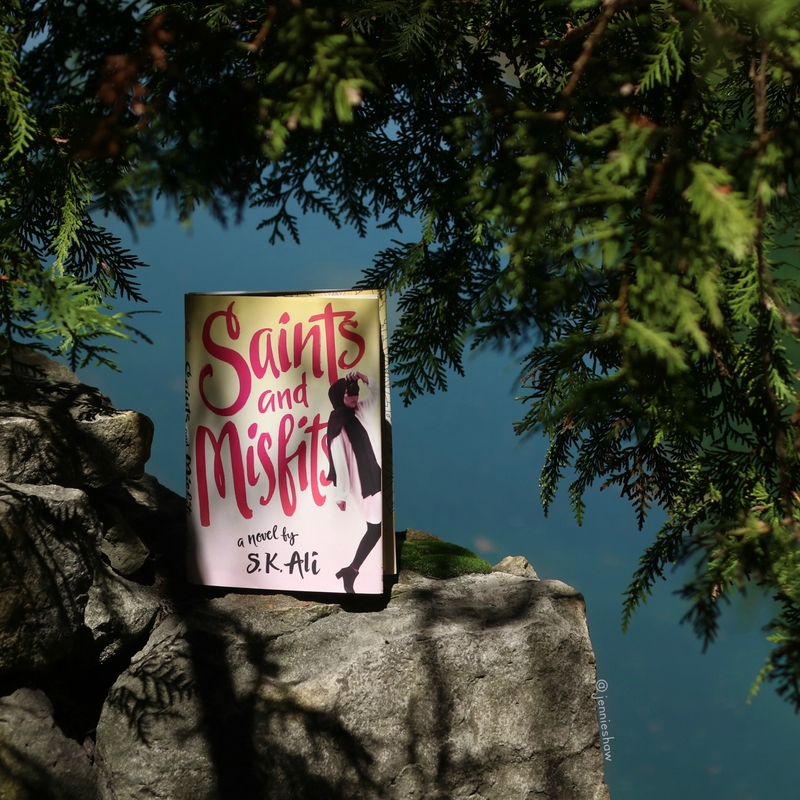 SAINTS AND MISFITS comes out tomorrow, so make sure you pick up a copy! And thanks to Simon & Schuster Canada for a review copy!